Our world can be defined as a series of interconnections. Interpersonal, international and other relationships dictate the global economy and infrastructure and with the advent of the internet, the threshold of connectivity became limitless. In the past 10 years however, the concept of interconnectivity through the internet has expanded its scope to all sorts of machinery and software. The Internet of Things (IoT) has a variety of applications across the industrial or service sector and with supply chain becoming a highly dedicated and accurate field, IoT devices have slowly started creeping into the market promising a better supply chain planning experience. By 2020, Gartner predicts that more than half of major new business processes will incorporate some element of IoT. What can Internet of Things (IoT) do for Supply Chain? Asset Management: Managing the raw materials or products. Fleet Management: Managing vehicles for transportation and logistics. RFID tags, which provide data on Items which they’re attached to, allow for individual analysis of products during their life cycle. Bluetooth, NFC and internet-connected LANs can perform the same function depending on the budget and scope of the project. The IoT will also contribute to better control over mobile assets, like forklifts or yard trucks, by having the ability to know where they are, but also to know how they are being used. GPS technology means you can avoid empty miles, determine more efficient routings for trucks, and organize schedules for pick-ups and deliveries very precisely. Order fulfillment is one of the most important metrics by which a supply chain strategy is judged. On the flipside, it is defined by a set of factors which are difficult to predict or control. 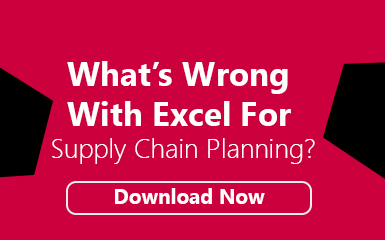 For example, traffic delays and weak route planning account for a majority of late deliveries and stock shortages in industrial firms. By making use of sensor enable IoT solutions the location and speed of vehicles can be tracked at all times, providing leeway for optimizing routes and maintenance alerts on the fly. In the F&B industry, the life cycle of the products is highly critical and needs to be monitored efficiently. For example, vegetables and fruits may last a week or more under optimal temperature conditions but could perish in a few hours if they become warm. IoT can minimize such wastage by using temperature sensors with specific limits set up, perhaps linked to refrigeration machinery. Even factors concerning inventory planning, say a spike in demand due to some new technology craze for an electronics company or due to an extended winter season for a clothes retailer, can be monitored more precisely using IoT and AI enabled devices and sensors, allowing multiple sources of data to be linked in real time. IoT is only limited by its connectivity and nowadays connectivity has no limits. With recent advances allowing for clear communication even in the expanse of space, IoT can be linked with robotics and software to configure actions under parameters and scenarios. By using the above mentioned sensor technology in tandem with machine learning and AI, it is possible to create an autonomous entity capable of performing key functions within the supply chain, be it demand planning or logistics planning. For example: Algorithms which adjust fleet routes considering traffic patterns and weather patterns from GPS systems, manufacturing machinery which optimizes its lead time depending on feeds from software detailing current demand and inventory trends for the industry, refrigeration machinery maintaining an optimal temperature through sensors installed along the cold chain and even providing improvement suggestions for the supply chain planning process through accumulation of data. If there’s anything the rise of IoT has taught, it’s that the possibilities are endless when several entities work in parallel. With large and small industrial firms adopting IoT for their supply chain needs, it’s not far before human labor becomes completely obsolete. Bad news for us, good for our machine overlords. Either ways, it’s progress. Know of any disadvantages of IoT in the supply chain field? Comment, share and as always, watch this space!